The second half of the 19th century witnessed a nationalist awakening among Asian nations, inspired in some part by the Meiji Ishin, the dramatic and revolutionary modernization of a formerly feudal and xenophobic Japan. Imperial China followed, perhaps less successfully, with the Tzu-ch’iang yün tung or the Self-Strengthening Movement (1861–1895), a program of institutional reforms initiated during the late Qing Dynasty following a series of military defeats and concessions to foreign powers. Around the same time in India a profound social and intellectual awakening took place within educated Indian society. Referred to as the Bengal Renaissance, this movement can be seen as a precursor to India’s independence struggle and by extension its remarkable present day economic success. Tibet’s first encounter with British colonial power, in the form of the East India Company, had taken place a century earlier, but it was in the second half of the 19th century, with British annexation of Darjeeling and its gradual takeover of Sikkim, that an assertive, even aggressive “nationalistic” spirit manifested itself in the Tibetan response to British colonial advances and Imperial Chinese machinations in Tibet. An ostensibly innocuous diplomatic agreement led to the unfolding of these events and the first military conflict between Tibet and Britain. 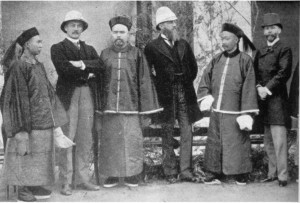 In 1876 Great Britain and Imperial China signed the Chefoo convention, one article of which permitted the British to send an exploratory mission through Tibet. It might be noted that China regards this convention as one of the “unequal treaties” imposed on it by the West. In the years following the signing of the treaty the British kept busy preparing the way for the hoped for Tibet trade. In 1879 a cart road to the Jelep La Pass into the Chumbi Valley was completed, bringing Darjeeling into easy reach of the Tibetan border. In 1881 a branch railway line from Darjeeling to Siliguri was also completed. In this act of defiance to Britain and China, Tibetans erected a fortification at Lingtu (or rather “Lungthur” (sloping land) according to Shakabpa) thirteen miles into what the British regarded as Sikkim territory. To demonstrate their resolve the Tibetans garrisoned the fort with nine hundred soldiers. According to L. A. Waddell the Tibetans actually invaded Sikkim “and advanced to within sixty miles of Darjeeling, causing a panic in that European sanitarium.” The British sent two thousand soldiers and artillery under Brigadier Graham to expel the Tibetans. Artillery bombardment and infantry charges finally drove Tibetans back from Lungthur. “But the Tibetans, despite their primitive equipment…” Lamb tells us “…were not dismayed by this show of force. 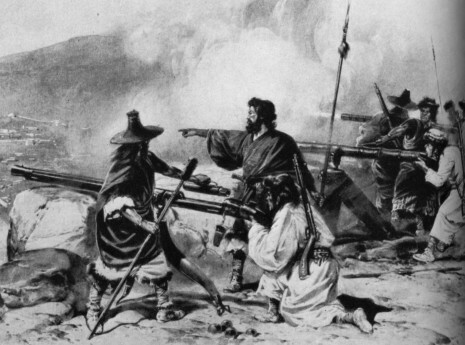 In May they attempted a surprise attack on the British camp at Gnatong (nak-thang or black meadow) and nearly succeeded in capturing the Lieutenant-Governor of Bengal, who was visiting the frontier; they were repulsed with severe losses.” Waddell also mentions that the Tibetans fought fiercely and showed “great courage and determination.” Waddell acknowledges that an additional cause for the Tibetan “invasion” might have been the British annexation of Sikkim, which the Tibetans regarded as legitimately in their sphere of influence. In spite of the major setback at Lungthur the Tibetans stubbornly refused to acknowledge Britain’s right to send a mission to Tibet, nor China’s right to grant permission for such a venture. Tibetan intransigence brought the British around to the conclusion that it was perhaps wisest for it sacrifice the “problematical gains in Tibet” especially “the exploratory mission to Tibet” it had obtained at Chefoo, since by not challenging China’s position in Tibet, Britain secured China’s recognition of its rule in Burma, (the Burmah-Tibet Convention of 1886). Earlier, China had regarded Burma as its own tributary state but Britain had, in three successive wars, fully taken over the country by 1885. 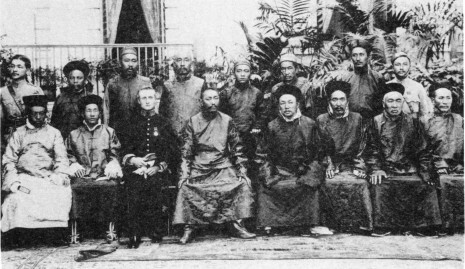 China’s formal recognition of British rule in Burma, gained for the Manchu court Britain’s reciprocal recognition of China’s claim of suzerainty over Tibet. 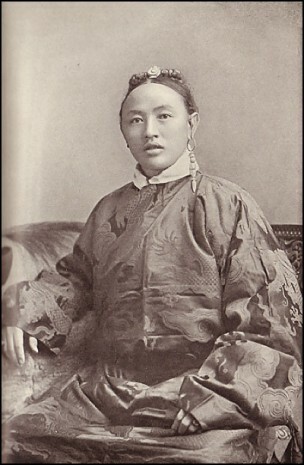 Tibetans were kept out of all the conventions and discussions that took place in those years between the British and the Chinese concerning Tibet or Sikkim. In 1893 when the Trade Regulation talks (to be appended to the Sikkim-Tibet convention) were being held in Darjeeling, the Tibetan cabinet sent a senior official, Paljor Dorje Shatra to keep and eye on the proceedings. Shatra’s presence appears to have been resented by the British and he was “permitted to suffer an insult” (Lamb). What is known is that a number of British officers dragged him off his horse and threw him into a public fountain in the Chowrasta square. Another account says that Shatra’s servant was the victim. The incident has been represented in some accounts as an unfortunate prank by high-spirited subalterns. Lamb appears to believe that the incident did actually happen and provides a few differing versions. Tibetan defiance of Britain and China has in most studies to date been downplayed as stemming from superstition and ignorance, specifically as the outburst of Tibetan fears, fanned by fanatical monks, that the British would destroy their religion. 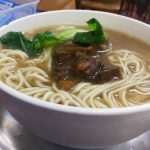 What has not been seriously considered is that that this resistance could perhaps have arisen from a spirit of Tibetan nationalism or patriotism. Waddell was impressed by Shatra and felt that by not recognizing him “in a way befitting his high rank” and by excluding him from the official discussions the British had “missed an excellent opportunity” to gain Tibetan trust. Waddell found Shatra “a most refined and well-informed gentleman, and well disposed towards the British. Shatra told Waddell that he had wasted his time in Darjeeling but that he would like to take back to Lhasa a summary of British “criminal, police and civil codes”, which had much impressed him. He desired to reform the legal system in Tibet (many features of it imposed by the Manchus) that followed such Chinese practices as torturing suspects until they confessed to their crimes, which the young minister found objectionable. It should be noted that Tibetan defiance of British and Chinese imperial ambitions was consistently maintained for nearly three decades. In fact till 1904 and the signing of the Lhasa convention, Tibet’s aggressive nationalistic, anti-British policy did not change. The British invasion force with its repeating rifles, maxim heavy machine guns and (according to Tibetans) unalloyed treachery, massacred seven hundred Tibetan country levees at Chumi Shengo, in the space of a couple of hours. “Despite this withering attack, the Tibetan forces fell back in good order, refusing to turn their backs or run, and holding off cavalry pursuit at bayonet point”. A couple of thousand more Tibetans died for their “fatherland” (phayul) in subsequent battles at Samada, Gangmar, Neyning, Zamdang, and most significantly at Gyangtse, where the Tibetans actually besieged the British force for a time before the conflict ended and the British marched into Lhasa and forced a treaty on the government in August 1904. Tibetans can legitimately view the events from 1876 to 1904 as the first chapter in their modern history. Most accounts of this period, largely written by British officials or scholars tend to downplay native resistance and patriotism and ascribe them instead to Tibetan religious fanaticism. There has never been a study of the origins of modern Tibetan nationalism or national identity stemming from this period, nor a review of the factors that could have caused or influenced it. Something like this is long overdue. I offer a few speculations of mine on the origins of these developments in modern Tibetan history. It is possible that the 13th Dalai Lama and his officials were influenced by the spirit of modernization, social reform and nationalism that was beginning to spread throughout Asia towards the end of the 19th century as I mentioned at the beginning of this paper. We know that the young 13th Dalai Lama was interested, even fascinated by Meiji Japan. Considering his own problems with the Manchu court, China’s crushing defeat in the First Sino-Japanese War of 1894 must have piqued his interest. 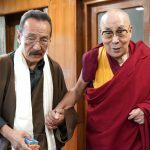 He sent a notable scholar, the geshe, Tsawa Tritul and two other Tibetans to study in Japan, long before he sent the four Tibetan boys to study at Rugby. When His Holiness was in Peking in 1908, he arranged to visit Japan, but had to cut his plans short because of the death of the Manchu Emperor. Bell also mentions how His Holiness was impressed by Japanese defeat of China in 1894, and also that he sent his commander in chief, Tsarong to Japan. Bell mentions that in his meetings with the Dalai Lama “… his thoughts turn often to Japan. He continually asks me for new of Sino-Japanese relations.”. But behind the young and, might we say “nationalist” Dalai Lama there were a number of loyal, capable, even relatively progressive officials who formed the “National party” that Waddell describes as having saved His Holiness from the machinations of the Demo Regent and the Chinese Amban. 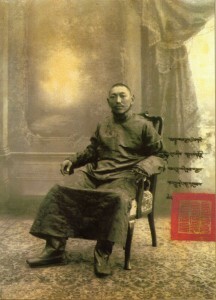 The foremost member of this unique company was certainly the Lonchen Shatra, Paljor Dorje, intelligent, sophisticated, meticulous, “ever the trained diplomatist”, according to Sir Henry MacMahon. The British initially regarded him with deep suspicion. According to Shakabpa he was suspected of being in the pay of the Russians. On the other hand, because of his appreciation of British military and economic power, gained by his visits to Darjeeling, and his sage advice to the Tibetan government to avoid confrontation with the British, he was regarded by the National Assembly as having sold out to the British. Though his cabinet colleagues, Zholgang, Chankyim and Horkhang loyally stood by him, the allegations raised by the National Assembly and not-so-subtle innuendoes (in verse) by the Nechung oracle, caused the detention of the four ministers at Norbulingka. Hastings House Calcutta 1910. Seated from left: Prince of Derge Ngawang Jampel, Crown prince of Sikkim Sikyong Tulku, Charles Bell, 13th Dalai Lama, Lonchen Shatra, Lonchen Zholgang, Lonchen Chankyim and Kalon Tenzin Wangpo. Standing from left S.W Laden la, Tashi Wangdi, unknown, physician Ngoshi Jhampa Thubwang, unknown, unknown, Diwan Bahadur Phala. Subsequent events not only exonerated these officials but required the Dalai Lama to have them by his side in his flight to Darjeeling. In this British hill-station, Lonchen Zholgang undertook and completed a history of Tibet, the manuscript of which has unfortunately been lost. And this was not the only bit of writing that seems to have come out of the Dalai Lama’s court in Darjeeling. One might speculate that this modest intellectual and literary stirring could have been inspired, even if in a peripheral way, by the Bengal Renaissance. After all Darjeeling was the summer capital of Bengal government. His Holiness’s senior secretary Shelkar Lingpa wrote the 46 stanza poem A Song of Lhasa Memories, which is even now read with admiration and pleasure by many Tibetans. A deputy cabinet minister (Gungthang katsap) Tenzin Wangpo penned a biographical account of the Dalai Lamas, which Sarat Chandra Das later incorporated in his Introduction to the Grammer of the Tibetan Language. The Dalai Lama himself and his personal physician, Ngoshi Jampa Thupwang, seem to have studied the public health situation in Darjeeing and the Indian Medical Service, for after the 13th’s return to Lhasa, Bell tells us that “…the Tibetan government has established a meat market (in Lhasa) where meat is sold under more sanitary conditions…”  Of more significance is the establishment of the new Mentzi Khang, the Medical and Astrological School and Centre, and the creation of the “Chipa Nyerchoe” or the program to provide medical assistance to all Tibetan children, especially newborns. Ngoshi was appointed the chief physician and administrator of Mentzikhang with the title of khenchen, and Khenrab Norbu as his assistant with the title of khenchung or junior abbot. Another official in His Holiness’s court at Darjeeling, Tashi Wangdi, who had previously been in the service of the Amban, contributed a very useful dictionary/word-book in Tibetan, English, Chinese and Hindi, that especially featured new words of political, technical and scientific nature. The book had been published just a year earlier at the Baptist Mission Press in Calcutta and no doubt proved useful to His Holiness and his officials, seeking to learn about the new world they had been rudely forced into. 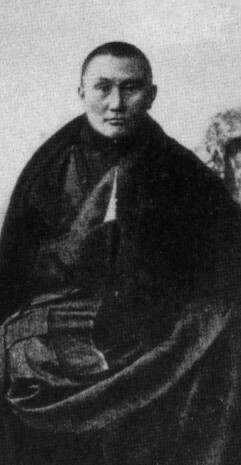 Other Tibetan nationalist figures as Tsarong Dasang Damdul, Jampa Tendar (later Kalon Lama), Trimon are well known and do not require discussion. The Buriat lama, Agvan Dorjiev’s vital role in modern Tibetan history has thus far not been sufficiently acknowledged, thanks in large part to British reports and accounts, which invariably relegate him to the role of a sinister Russian spy. He first came to Lhasa in 1873, to study at Drepung monastery where he obtained his geshe degree. Dorjiev, whose Tibetan name was Ngawang Lobsang, must have been an extraordinarily gifted scholar since he became one of the seven tsenshabs or debating partners of the young Dalai Lama. In 1888 he became a confidant and tutor to the Dalai Lama and for the next ten years served as his “inseparable attendant”. In turn His Holiness looked upon him as his “true guardian and protector”. Dorjiev’s “modern, progressive turn of mind” gained from his extensive travels. He visited St. Petersburg as the Dalai Lama’s envoy, and also Paris, London, and major cities in India and China. He was in the thick of the politics of the period, facing not only the opposition of the powerful ultra-conservative clique in Lhasa but also the hostility of the British. It is now generally accepted that he was no foreign spy but a patriot who strove tirelessly and openly to create a Mongolian and Tibetan nation independent of China. It might be mentioned here that Dorjiev was the one of the main authors of the Tibet Mongolia Treaty (and signatory for Tibet) which was signed on 29th of December 1912. The principal purpose of the treaty appears to be demonstrate the complete independence of Tibet and Mongolia, and declare their rejection of Manchu rule and political ties to China. Finally, we should perhaps not discount the possibility of Tibet’s “nationalist” spirit being awakened by examples from within its own past. For instance, the Phagmodrupa king, after overthrowing Mongol rule in Tibet (ten years before the Chinese overthrew the Mongol Yuan dynasty) consciously attempted to create a new non-Mongol national identity reflecting the early Imperial period of Tibetan history. The harsh Mongol penal code was rejected and laws derived in part from the imperial period, adopted. The Phagmodrupa revived ancient customs and “during the New Year celebration high officials had to wear the costumes of the early kings.” The second Phagmodrupa king sponsored Tsongkhapa’s Monlam festival in Lhasa, which became the largest festival in the Tibetan calendar and attracted thousands of pilgrims and worshippers from all over the country and beyond. Although the Monlam is a great religious festival, it also has important historical and military aspects, presented in grand and colorful pageants and parades that serve to inculcate in the Tibetan public a sense of its history and identity. It is my hope that these cursory speculations I have shared with you today will instigate scholars and experts to undertake a more extensive study of this important and fascinating period of Tibetan history which has for long been misunderstood, and sometimes even misrepresented.
. Lamb, . p 186. Risely, p viii and ix. Phillimore, R. H. “Early East Indian Maps” Imago Mundi, Vol. 7 (1950), pp. 73-74 Published by: Imago Mundi, Ltd.
. Waddell, L.A. Among the Himalayas, westminister: Archibald Constable & Co. , London. 1900. p 269.
. Bell, Charles. Tibet Past and Present, Oxford, 1924.
 . Berry, Scott, Monks, Spies and a Soldier of Fortune: The Japanese in Tibet, St. Martin’s Press, New York, 1995. Tashi Tsering la, director of Amnye Machen Institute provided me with this information, and with the information on the Tenzin Wangpo’s History of the Dalai Lamas and Tashi Wangdi’s dictionary. Shekarlingpa H.E., A Song of Lhasa Memories & A Poem in Alphabetical Order, Tibet Mirror Press, Kalimpong 1965.
 . Markov.S., ‘Tibetskye Chetki” (“Tibetan rosary”). P 101, Prostor (Alma-Ata), No 1, 1976.
. Shakabpa, Tsepon W.D. Tibet: A Political History, Yale University Press, 1967. Bravo! It is Rangen Time -Front and Center- from now onwards. Let’s hope RFA will be liberated to report Rangzen activities from this year and beyond. Thank you – this is a very informative piece that fills in many details I previously did not know. It appears that a century has gone, ever since the Great 13th has declared Tibet an Independent nation. However, the event that followed thereafter must be seen as unfortunate ones. Of course, no one is to be blamed. Blaming one another does not bring any solution. The present Dalai Lama appears to be following in the foot steps of the Great Fifth. Perhaps, there is nothing wrong if He would also follow in the foot steps of his immediate predecessor (the Great 13th) and re-declare Tibet an Independent nation. Tibet indeed was an independent nation, and there is nothing wrong in doing so.It not only was an independent nation, but also the military super power of the Central Asia (once upon a time). 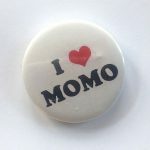 This is true, and this truth cannot be denied for ever. Tibetans themselves must work out and free Tibet from any foreign rule. No messiah will come to rescue Tibet. It is futile to hope for anyone, because there is none. Unless there is some interest to fulfill, no one will come forward. Only Tibetans must do it. Built up the courage that is needed and get on. Remember, Tibet does not have any oil mine that the West may get attracted to and do any thing. Given that Tibetans have the necessary courage, nothing could stop them. Where there is will there is way. Thank you very much for this wonderful piece. Losar Tashi Delek! Thank you for sharing this wonderful article. I would call it a true “Losar Gift” from you much more sumptuous than your Khabse article the previous year. I enjoyed reading it patiently and thoroughly. 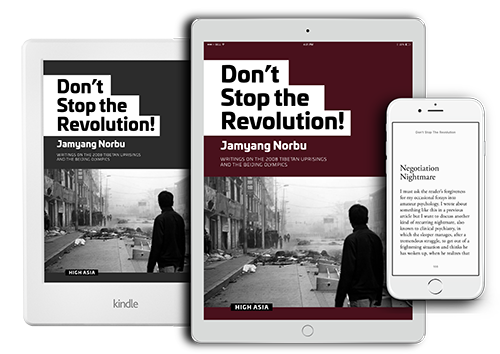 It has helped me supplement my own understanding of modern Tibetan History. It was also inspiring to see our scholar Tashi Tsering’s supply of some useful and factual information. He is indeed a rare living library on Tibetan history. By the way, I bet, you must have read Tashi Tsering’s bold epilogue on His Holiness Drigung Kyabgon Chetsang Rinpoche’s recent monumental work on Ancient Tibetan History “Bod bTsan Po’i rGyal Rabs.” I would love to see some day you also do a review of this history book too, sharing your views on the interpretations of Dunhuang documents related to ancient Tibetan history by non-Tibetan scholars. I have always treasured this kind of selected writings from you, which I think, in a way is a true long lasting service you offer for our nation and people. I would like to seek your permission to use your photo (1893 Sino-British meet,Darjeeling) for my publication.